So fresh and delicious! I need to get some of those dark tomatoes too. 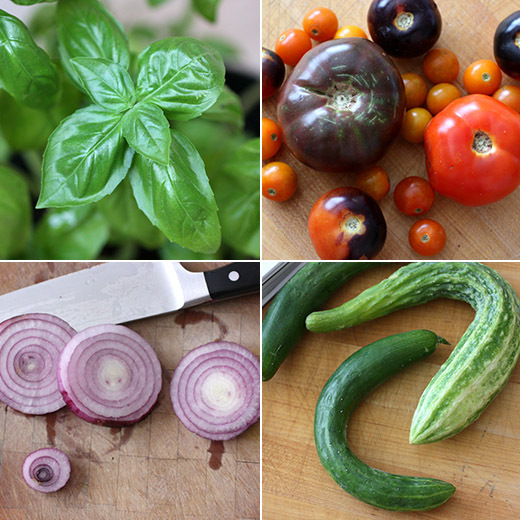 Thank you for this inspiring, flavorful summer salad, Lisa! 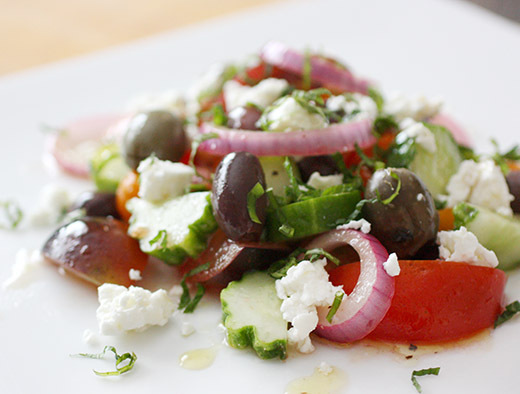 I can never get enough of a great Greek salad. It's the perfect combination of ingredients that come together in perfect harmony. I can't wait for summer heirloom tomatoes to come in to make this version. One of my favorites....using real feta from Greece. I eat it almost weekly! It's the weirdest thing--I can't grow mint! I've tried in different parts of our yard, I've tried in containers, and it always dies. My gardening friends get a good laugh about this! I can never resist a good greek salad. This looks amazing!! 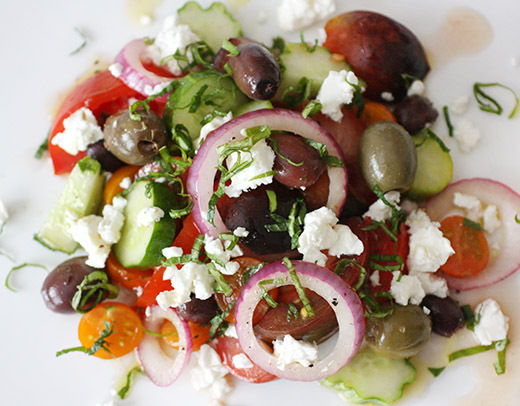 I think if I could only eat one kind of salad, it would be a Greek salad. Perfect for a summer evening meal with some pita and stuffed grape leaves. Hi Lisa, the way you describe this salad makes me want one now today for lunch. All the ingredients look so fresh and delicious, I love a good crunchy salad. Loads of lovely flavors in this! And it's gorgeous -- really nice. Thanks.